Alliance High School will present a “world of pure imagination” with Willy Wonka the Musical as this year’s Spring Musical. 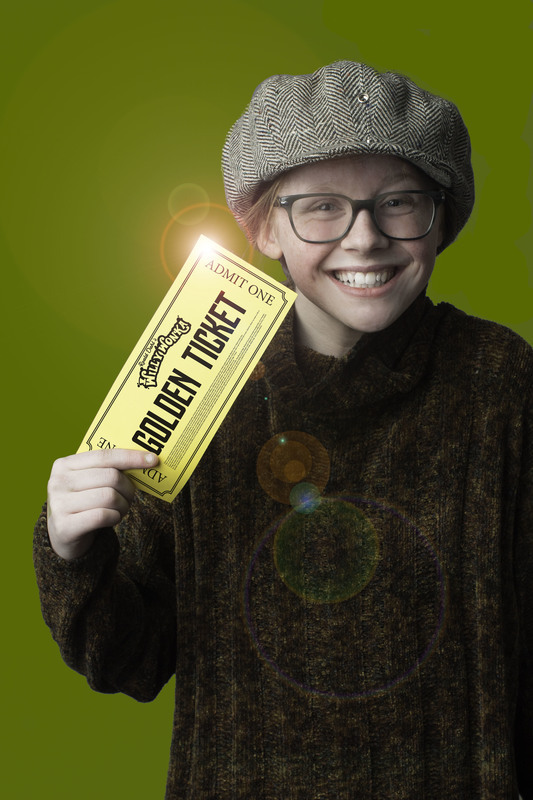 The innocent, imaginative show as written by Roald Dahl, features music from the 1971 film Willy Wonka and the Chocolate Factory and includes Alliance students of all ages. From Preschool to High School, this show will feature the widest age-range of characters of a show in recent Alliance history. Students have a hand in the entire production of the show from set design and construction to promotional material design, music performance and distribution to acting and even filming the production. Carrie Chunat, director of the musical, said. “They learn confidence. Most of them have stepped out of their comfort zones and have done things they didn’t think they were able to do. They have certainly met a lot of new people and interacted with a new friend group,” she said. This year in particular includes more students ranging in age from three years old to 18 years old. With the largest cast in years the musical is sure to be a memorable part of the school year for many students, parents and community members. 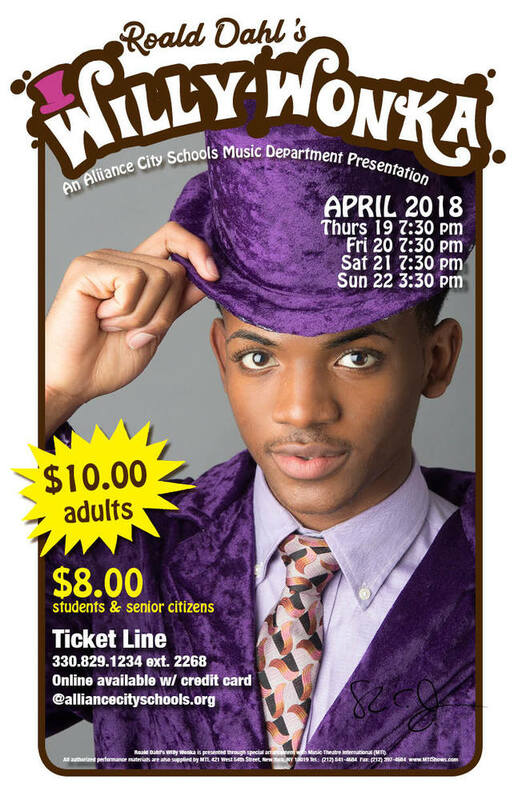 Senior Braijon Clayton will star as Willy Wonka. This is Braijon’s first lead role on the AHS stage and he said he has been both challenged and rewarded by the experience so far. “I have greatly enjoyed working with the younger students and the whole experience has allowed me to socialize with groups of peers I wouldn’t have met otherwise. The diversity of the cast and the professionalism and creativity they show has made this whole process worthwhile,” he said. Other roles include Marian Davidson as Phineous Trout, Makenzie Schoolcraft as Charlie Bucket, Katie Howell as Mrs. Bucket, Tommy Gress as Mr. Bucket, Jake Shields as Grandpa Joe, Ryan McKnight as Augustus Gloop, Nicole Cox as Mrs. Gloop, Phoebe Jackson as Veruca Salt, DeSean Hollins as Mr. Salt, Marcus Davis as Mike Teavee, Savannah Heller as Mrs. Teavee, Rachael Wagner as Violet Beauregarde, Katie Blake as Mrs. Beauregarde, Destini Howard as Grandma Josephine, Stefan Thalacker as Grandpa George and Jocelyn Austin as Grandma Georgina. The Interactive Media class designed the posters, programs and promotional materials for the show and the Construction Trades classes built the set. Art Department students have had a hand in building prop pieces, several of those painted by the Auto Body Department. The show will take place April 19-21 at 7:30 p.m. each night and at 3:30 p.m. on Sunday, April 22. For the first year tickets can be purchased online with credit cards. Cash only will be accepted at the box office before the show. Go to https://singingaviators.ludus.com to purchase tickets ahead of time with a credit card. Ticket orders can also be placed on the ticket line voicemail service by calling 330-829-1234 ext. 2268, or by coming to the High School during regular school hours. Makenzie Schoolcraft as Charlie Bucket.